Tumbles and Grumbles - Bring it On! Tumbles and Grumbles are all about teaching life saving skills in a hands on, fun and engaging way through the use of play, music and teamwork. Little Rescuers is a dedicated course, aiming to empower all children with the confidence to be able to help their Family or Friends in an emergency situation. The Little Rescuers programe was developed by local paramedic Caroline Davies. Caroline knows first hand, the positive impact a first aider can have in an emergency, and wanted to help create a nation of people willing and able to help, by concentrating on educating children, and helping to remove the fear factor of delivering first aid. Do you know what your survival rate would be if you had a cardiac arrest outside of hospital?? Where there is currently no First Aid in Education! Where First Aid is taught in Early Year and is part of the curriculum. Tumbles and Grumbles aim to work with young people to create a Nation of Little Rescuers today, who will grow to be a Nation of Big Rescuers Tomorrow.  Tumbles and grumbles will have a range of activities available for children to discover the basics of first aid, as well as learning about the body, how it works, and what to do when it doesn't work. The activities are all hands on, and give the young people a great opportunity to learn life saving skills, whilst developing their understanding of STEM, and the engineering of the body.